Folding Crutches, Crutches, Carex, A99500. Folding Crutches, manufactured by Carex, are mobile, lightweight and comfortable crutches. You may select this product to assist with Rehabilitation and Mobility. Featuring a convenient folding system, you can easily store the Folding Crutches. In fact, you can say goodbye to struggling with awkward full length crutches, as these can easily slide under a car seat, overhead bins, and more, after folding them. 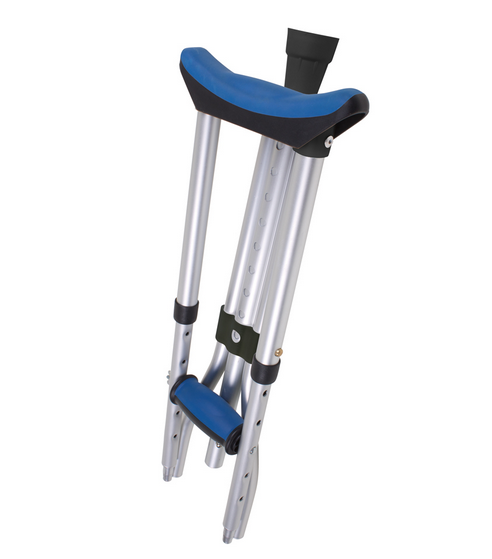 In addition to the convenient folding system, these Crutches feature sporty, electric blue comfort grips and pads. Not only are Folding Crutches fashionable, but they provide the user with unparalleled comfort, too. Folding Crutches, additionally, are a universal size, so you can quickly and easily adjust the height to accommodate youth, adult and even tall users. 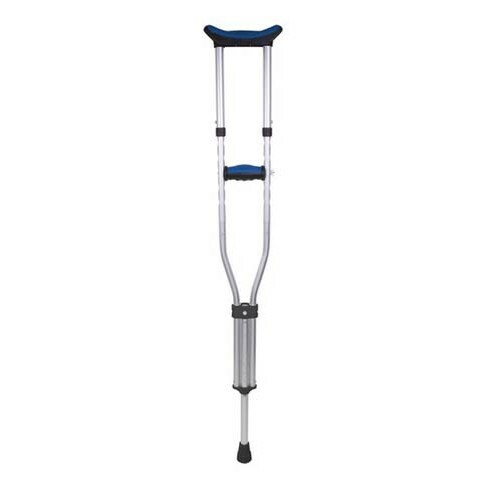 Folding Arm Crutches Product Number: A99500. User Height: 4'11" to 6'4". Application: To assist with rehabilitation and mobility. Crutches Use Instructions offers usage instructions, adjustment and maintenance information.